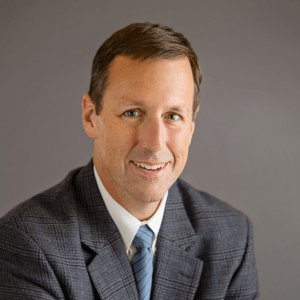 Brad Layland, CEO of The FOCUS Group, has over 25 years of fundraising and consulting experience to draw from as he partners with organizations to fulfill their mission through effective fundraising strategies. Brad’s distinguished career began at Young Life, where he served in various roles including Area Director, Field Development Director, Gift Planning Associate, and ultimately Chief Development Officer. He moved into his role as owner and CEO of The FOCUS Group in 2012, after several years as a Senior Consultant. Brad’s expertise providing high level fundraising counsel to nonprofit organizations incorporates major donor strategies, training workshops, planned gift marketing, and capital campaign counsel. In 2013, he launched the Taking Donors Seriously® online training program, which equips individuals and organizations to be more effective in raising financial support. Brad serves on the Board of Directors for numerous organizations including, Veritas Classical Christian school, Young Life St. Augustine, Christian Surfers US, Somebody Cares St. Augustine, and Young Life of Greater New York. He also serves as an elder at Good News Presbyterian church. In addition to running The FOCUS Group, Brad owns the largest real estate brokerage in St. Augustine, Endless Summer Realty. Brad received his B.A. in Communications from the University of Florida and his M.A. in Theology from Fuller Seminary. He and his wife, singer-songwriter Wendy Curl, love living in St. Augustine, Florida and have 4 children: Max, Dakota, Jack and Sydney. Brad enjoys running marathons, investing in real estate, being an entrepreneur, and traveling with his family. 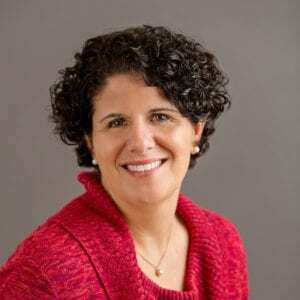 Lori Gamboa, CFO, joined The FOCUS Group as Chief Financial Officer in 2013 after a career in the newspaper industry. She is a graduate of Stetson University in Deland, Florida with a B.S. in Accounting and is certified by the State of Florida as a Public Accountant. Lori and her husband George live in St. Augustine, Florida. Steve Godfrey, COO and Senior Consultant, has served in high-trust positions serving wealthy individuals, corporate executives and business owners for over two decades. His experience is diverse but the common thread is his ability to understand the needs of the people he is serving and develop creative solutions to help them succeed. Steve has many years of experience serving on Young Life area committees and assisting in their support-raising efforts using Taking Donors Seriously®. Steve earned his B.S. in Finance from the University of Florida and his M.B.A. from the Darden Graduate School of Business at the University of Virginia. He lives with his wife and two children in Richmond, Virginia, where he serves on the board of trustees for Veritas School. 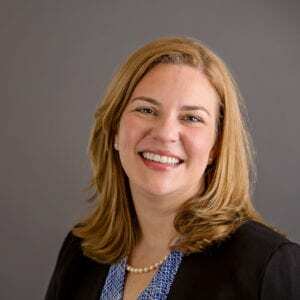 Ame Eldredge, Senior Consultant, first discovered a talent for training and development during her fifteen year career with Young Life, serving in several roles including Area Director, Regional Trainer and assisting in National Staff Training events. As a Regional Trainer, she helped field staff in Florida become proficient in fundraising, building support teams, financial management and donor relations. In addition to Young Life she has significant and varied experience in the nonprofit sector. Having served on staff with several organizations serving such populations as youth in crisis, the homeless and the uninsured, she brings an intimate knowledge of management and advancement matters in this arena. She currently serves on the board of Global Teams International. Ted Rodgers, Executive Consultant, is a respected expert in fund development and philanthropy. His areas of expertise include major donor strategies, financial management, strategic planning, board development and estate and asset gift planning. He earned a B.A. in Economics from Wheaton College and an M.A. in Educational Administration from Ball State University. Ted was granted an honorary doctorate from Moscow Theological Seminary in 2009. Widely respected as a presenter at professional meetings, he has been a member of several higher education accreditation teams. His executive leadership experience includes serving as Senior Vice President at Trinity International University, Executive Vice President at Northern Seminary and Executive Director/CEO of Russian Leadership Ministries. He is currently a Trustee and immediate past board chair at Northern Seminary. Ted and his wife, Debbie, currently live in Wheaton, Illinois. 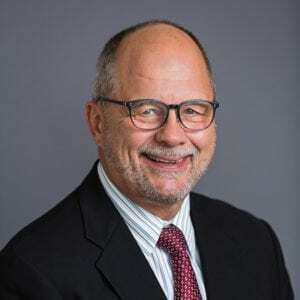 Dr. Jay Barber, Senior Consultant, joined the FOCUS team as a senior consultant in early 2015 and is a senior fellow with the Murdock Charitable Trust, working with capacity building enrichment initiatives. Jay also currently serves as President Emeritus of Warner Pacific College after serving 12 years as president. Prior to serving as Warner Pacific’s president, he was vice president of development for Oregon Health and Science University where he directed the development of corporate, foundation and major gifts fund raising programs as well as the oversight of estate planning and planned giving. Dr. Barber received his baccalaureate degree from Warner Pacific College where he later served on the Board of Trustees. He received his master’s degree from the University of San Francisco and a Doctor of Laws Degree (Hon.) from Anderson University. Jay and his wife Jan currently reside in Seaside, Oregon on the Oregon coast where Jay is currently serving as Mayor. Zach utilized the Taking Donors Seriously® methodology on a daily basis for 15 years, and coached dozens of ministry and non-profit leaders through TDS-Online over the past two years. Zach earned a B.S. from Coastal Carolina University while studying Biology and Chemistry before pursuing graduate studies at Fuller Theological Seminary. He currently lives in Naples, Florida with his wife, Blair, and their 3 young children. Tom MacAdam, CCNL, Consultant, is an accomplished fundraising professional, with over 15 years of experience leading development efforts in non-profits focused on missions, higher education and publishing. His past roles include VP of Advancement for Slavic Gospel Association, VP of Stewardship for Moody Bible Institute, Regional Director of Development for Wheaton College, and Executive Director of Russian Leadership Ministries. 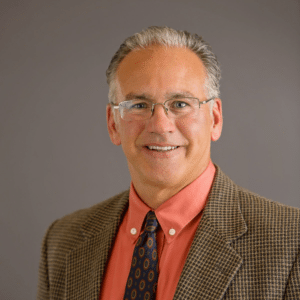 Tom’s expertise includes providing fundraising counsel to nonprofit organizations, including promotional and marketing messaging, direct response fundraising strategy, major donor and planned gift development, and capital campaign counsel. A graduate of Purdue University with a B.A. in Psychology, he earned his J.D. from the University of Illinois, College of Law. Tom is a licensed attorney, having practiced 14 years including roles as a senior executive and corporate general counsel for two technology and digital marketing services businesses. Tom lives with his wife Amy and five children in Carol Stream, Illinois. 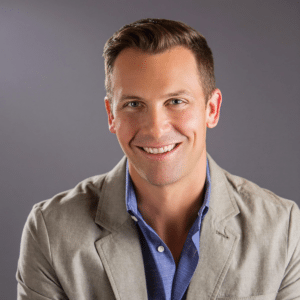 Chad Borgestad, Consultant, has over 25 years of experience developing leaders and teams, and training individuals to reach their full potential. He has overseen the startup of four non-profits, raising millions of dollars using the Taking Donors Seriously® framework. Chad has also served as a campus minister at Lutheran Church of Hope, the largest ELCA church in the US. Prior to that, he spent 4 years coaching executives to become principled leaders through individual and team coaching, and spent 20 years with Young Life, serving as an Area Director and Associate Regional Director. Chad earned a Bachelor’s of Science degree in Sociology from the University of Minnesota before pursuing studies at Fuller Theological Seminary. He lives in Des Moines, Iowa with his wife of 24 years. They have 3 sons and a daughter-in-law. In his spare time, he enjoys working out, running, biking, or reading a good book. You may also find him on the lake fishing with his sons, hiking 14’ers in Colorado, or coaching soccer. Jim Eney, Consultant, has served on the Essentials Training Team at the Murdock Trust for 20 years coaching organizations in development. He also served on Young Life Staff for 30 years ending in his role as Senior Vice President in 2004 where he lead successful Capital Campaigns and implemented Taking Donors Seriously in areas and regions. Jim continues as counselor in development to many non-profits in his role as an Associate with the International Foundation. Jim received a BA from the University of Washington 1974 History and an MA in Theology from Fuller Seminary 1999. Jim resides in Portland Oregon with his wife Janet. 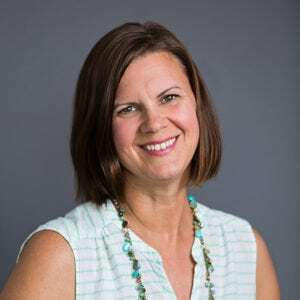 Carol O’Leary, Consultant, most recently worked for Young Life in Colorado Springs as a Major Donor development officer for the international outreach programs. Prior to this position, for two decades she headed up several organizations that promote STEM studies using a variety of highly effective instructional simulators---all of which required extensive capital and operating fundraising. Carol holds a Bachelors of Science Degree in animal science from the University of Maryland and a Masters of Science in education from the State University of NY at Brockport. She lives in Vancouver BC with her husband, Michael, and has three adult children and a lovely daughter-in-law. Jon Eisenberg, Consultant, longs to see fund raisers, donors, and all the systems associated with stewardship increasingly reflect the lavish love of Our Father. This calling began in 2003 while working with InterVarsity Christian Fellowship. The FOCUS Group helped Jon as he helped launch their major gift officer program. Together, they successfully completed multiple capital campaigns, the second of which went 40% over goal. While specializing in Major Donor Engagement, Jon's leadership with InterVarsity and Water Street Mission has helped grow revenue and mature Advancement Teams through strategic planning, prospect research, case development, major donor engagement, mid-level donor engagement, foundation engagement, special events, direct mail, planned giving, church partnerships, business partnerships, and volunteer engagement as well coaching leaders in major donor engagement, training staff in principals of Taking Donors Seriously and developing theological foundations for fund raising. Jon received his B.A. from Lehigh University where he studied Music and Philosophy. When not involved in fund development, Jon enjoys good conversations, good food, a good book, a good strategy game or just time at home in Lancaster, PA with his wife and two children. Jamie Sellers, Associate Consultant, began his work with The FOCUS Group in 2010 and has served primarily in the area of client support services. Jamie is passionate about helping others carry out their goals which positions him well in his current role where he supports both consultants and clients in carrying out their mission. Jamie has a broad background in computers and technology spanning 11 years and has served in pastoral ministry for 15 years. Jamie is a graduate of the University of North Florida, where he earned a B.S. degree in Computer Science. He completed his M.Div. from Covenant Theological Seminary in St. Louis, Missouri. Jamie and Julie, his wife, live just steps from the beach in St. Augustine, Florida. Michael Fleming, Associate Consultant, is a prominent Northeast Florida military veteran leader having retired as a Brigadier General. He has since served as the Senior Vice President of University Relations and Development for Jacksonville University. Mike was previously a Managing Director for Deutsche Bank, serving as the Site Lead in Jacksonville while also serving as the Co-Chair of Veterans on Wall Street, an initiative dedicated to honoring and employing veterans. Mike holds a Bachelor of Science degree from Jacksonville State University, Master of Business Administration degree from the University of North Florida and Master of Arts from the United States Naval War College, and has served as a Congressional Fellow, National Security Fellow at Harvard University, and Foreign Affairs Fellow at Johns Hopkins University. He was a member of the United States (CIOR) Military Pentathlon Team for eight years and represented the United States in international competitions. He is the founder and Chair of the Jacksonville Military Veterans Coalition and Northeast Florida Military Veteran College Network. He and his wife, Leigh Ann, live in St. Augustine, Florida. Together they have two children and two grandchildren. They are active in the community and with their local church. Justin Forbes, Director of TDS Training, has been involved in teaching and training for multiple years, working with nonprofit organizations, churches, and the national Training Department of Young Life. Having spent 10 years in the field with Young Life, Justin is experienced in recruiting, training, and developing teams that engage in volunteer development, fundraising strategies, and donor relations. He is passionate about developing a vision of donor development that engages donors in ministry, helping them participate in God’s work in the world. Justin holds degrees from Flagler College, Fuller Theological Seminary, and Princeton Theological Seminary. He is currently serving on the faculty of Flagler College as the director of the Youth Ministry program, and professor of Youth Ministry. Justin is on the local board for Young Life, loves his local church, and is kept busy by his wonderful four children and (not as wonderful) small dog. He and his wife, Bethany, live in St. Augustine Florida. Parker Fretwell, Business Development Director, brings nearly 30 years of corporate experience, working in sales, strategic planning, coaching, training, management and senior leadership in the healthcare industry. 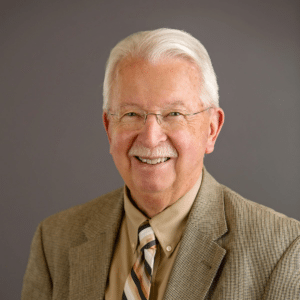 Throughout his life, Parker has been actively involved with non-profit causes and Christian charities and has served in leadership and as a board member with many of these organizations including: Young Life, Room in the Inn, and The Shalom Foundation. Parker has also been very involved with local churches, serving as a deacon, elder, teacher, department director and on many leadership committees. Parker’s passion is around understanding opportunities to improve results for clients and in developing solutions that exceed all expectations. Parker has undergraduate degrees in Economics and Spanish, from Wofford College, and a master’s degree in International Business from the University of South Carolina, (MIBS Program). Parker has had the opportunity to live, work and study in Spain and Brazil and he speaks Spanish and Portuguese. Parker lives in St. Augustine, Florida where he spends his free time having fun with his family, coaching youth sports and serving at Good News Presbyterian Church. Martha Shinn, TDS Coach, leverages her experience and wisdom to support her colleagues and our clients, helping them fulfill their missions. She retired from Flagler College after over 30 years of teaching and directing the college's Youth Ministry Program. Prior to that, Martha served as the Area Director for Young Life in St. Augustine. She actively serves her community as a member of the local Young Life Board in St Augustine, as a volunteer leader with Young Life Capernaum, and by volunteering with the homeless lunch program at her church. Martha and her husband Walt live in St Augustine and visit Virginia frequently to be with their son, daughter-in-law and 2 grandchildren. Brian Robinson, Research Analyst, has served in various ministry roles during the past two decades including youth pastor, church-planter/pastor, and the director of resources for a church-planter training organization. Brian also spent fifteen years in the West Virginia Magistrate Court system in administrative roles and served as the first elected President of the West Virginia Magistrate Court Staff Association. His research experience began while serving as a Magistrate Assistant, researching state code and case law, and he now enjoys using his research skills in his role with The FOCUS Group. Brian earned a Bachelor of Arts degree in Church Ministries from Trinity Baptist College, a Master of Religious Studies from Southern California Seminary, and an Master of Business Administration degree from Grand Canyon University. He and his wife reside in St. Augustine, Florida. Kelly Smith, Executive Assistant, loves the challenge of wearing many hats, and thrives as an administrator! Along with juggling home and work, she has served as a volunteer with Young Life Capernaum for over 11 years, where she is currently a board member, and is also active in her church. Kelly earned a Bachelor of Science degree from North Carolina State University. She lives in St. Augustine, where she is an Army wife to Tim, and homeschooling mom to daughters Maddy and Anna. When she is not working, she enjoys kayaking, going to the beach, hunting, and fishing. Kendy Horsley, Marketing Coordinator, joined The FOCUS Group in 2015 after staying home with her children for several years. 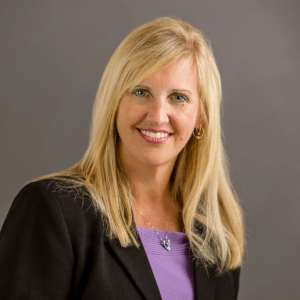 Over the past 20 years, Kendy has worked as an administrator in a wide range of companies including mega-churches, construction and environmental firms, and large and small animal veterinarian clinics. She’s also been enjoying her time as a volunteer with Young Life Capernaum for almost 15 years. Kendy and her husband Jeremy live in St. Augustine, Florida with their three boys: Hunter, Chase, and Liam. Make your Next Campaign a Success!